Our 600 & 800 series windows feature low profile aluminum frames. 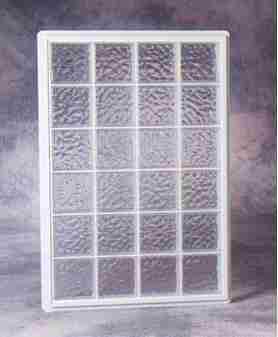 Available with thermal breaks, these windows have posted thermal tests results significantly superior to traditional glass block. In addition to standard rectangular windows, our 600 & 800 series windows are available in custom configurations. Hy-Lite’s 600 & 800 series aluminum framed windows have the unique ability to be used as panels, partitions, and shower walls. A variety of special accessory caps are available that attach to the main window frame to create freestanding partitions, bar units, and displays. For a special effect in bar units, windows, or displays, fiber optic or tube lighting can be easily installed between the blocks.